Different colors bring different meanings into color reading. And, how it usually happens with traditions, ideologies, meanings of things, etc. - the meanings of various colors have too changed over the years. 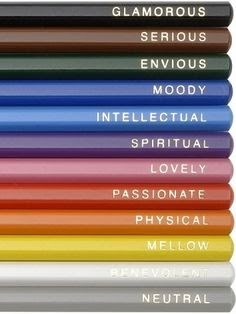 Color impact is evident in our mood and for a long time researches and psychology experts haven’t much bothered to go deeper into exploring ways that colors influence our mood. Luckily, today we’ve got plenty of studies dealing with this particular segment of our reality and what’s been discovered is something you’ll probably want to hear! Let’s start with so called non-colors, black and white. Black is the color that’s been popular since forever and its utility doesn’t really seem to be disappearing. In fact, if anything, black has become a pretty often worn color by celebrities, fashion experts, models, etc. as it gives them a much thinner, sophisticated figure and look. The underlying meaning of black is usually power and authority. People respond to black with respect, fear, admiration, esteem. Some fashion consultants argue that a woman wearing black implies submission to men or the other way around. Since black is the color often associated with death people wearing it tend to be described as cold, evil or a loof. White is the opposite “color” to black, symbolizing completely opposite associations and feelings to the black color. White is a color associated with openness, clarity, purity, goodness. It reflects light, it’s sterile and neutral and goes with everything. Brides wear white to imply purity of self. It is a very gentle color. Red is by far the most emotionally intense color. Different people respond differently to it, yet some common feelings everyone have when it comes to this color is the feeling of passion, rage, lust, hunger. Many fast food restaurants combine yellow and red as these two colors prompt thirst and hunger in customers. Also, business people are advised not to wear red during negotiations or confrontations as they appear more aggressive and intolerant. It is an extreme color which stimulates a faster heartbeat and breathing. When used in decorating spaces, it’s always best when combined with other colors or when used for accessorize. Blue, the color of the sky and the ocean, is one of the most calming colors there are. It evokes feelings of peace, tranquility and calm. The body produces calming chemicals when we are looking at a blue color, so for this reason colors of this shade are used in bedrooms, offices, hospitals and institutions that should inject peace in people. Still, too much of color blue can also be pretty depressing. Again, it’s all individual. Green symbolizes nature and is currently the most popular decorating color. 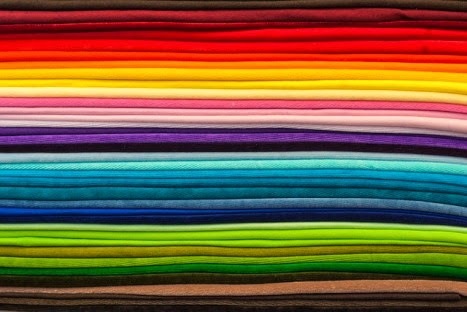 Since it’s the nature of color, it can improve vision. Doctors recommend looking at green spaces, preferably fields of green and trees for couple of hours a day for improved vision. A lighter green symbolizes fertility, calamity and authority (yet, not the aggressive type like red) while a darker shade of green implies masculine energy and wealth. As a decorating color, it is often used for pieces of furniture, accessorize, rugs or main walls. Yellow is a pretty intense, yet positive color. It is also an attention getter. Even though most describe it as a positive color, research has shown that babies cry more in yellow rooms and people lose their tempers more often in yellow-dominating spaces. Yellow is a pretty difficult color for the eye to take in so if overused it can easily become overpowering. Yellow speeds metabolism and causes thirst. When used in decorating, it’s better for accessorizing than as a foundation color. All colors that surround us (and their shades) evoke certain emotion and feeling and if not combined properly, they can be one of the main reasons your day gets spoiled. Always look to equip the space you spend the most time in with proper-colored pieces of furniture, vivid rugs, accessorize and wall paint as this room will be your energy room. Surround yourself with colors that not only look good but also feel good on your heart and mind. When decorating a space you want to go with colors that make you happy, inject productivity, calamity, happiness and peace in you, so for this reason it’s important you consult an expert or just trust your instincts and follow your personal reaction to a combination of colors.